When it comes to outright favourites for this seasons' UEFA Champions League, many would point out towards Barcelona and Manchester City (won 7-0 against Schalke ). Both these clubs have been in scintillating form, domestically and in Europe too. With triple defending champions, Real Madrid and French heavyweights PSG already knocked out of the competition, Bayern Munich's recent resurgence might make them as an outside favourite. However, with Juventus, it's a different case. This summer, Real Madrid legend Cristiano Ronaldo was purchased for a whopping €100 million with the sole purpose of winning the UEFA Champions League, the trophy which has eluded them for 23 years. Juventus's hopes for a third European crown were dashed when they suffered a 2-0 loss away at Atletico Madrid. But, how could Cristiano Ronaldo go down so easily? It would only add fuel to his burning desire of winning the Champions League with three different clubs. 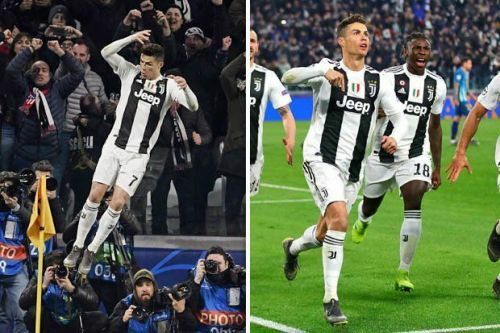 What happened in the return leg showed exactly why Ronaldo might probably be the greatest player in the history of the competition. Ronaldo's record-equalling eighth UEFA Champions League hat-trick would be enough to send the Old Lady to the quarter-finals. His first goal, a header, was a combination of an intelligent run and world-class finishing. His second, another header, could only be cleared by Jan Oblak from inside the goal. But, his third was the most important. Like last year, he showed nerves of steel and converted a late penalty to send his team through. 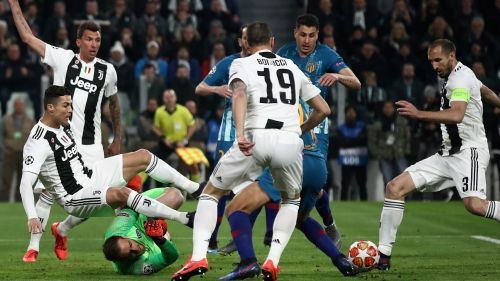 With one of his career-best performances, he not only saved Juventus from heartbreak but gave them another chance to break their Champions League hoodoo. Having already been knocked out of the Coppa Italia and the Serie A more or less in their bag, their sole focus lies on the Champions League. In reality, there are only five (quarter-finals, semi-finals, and final) important matches left in the season, all coming in the Champions League. Thus, star players like Ronaldo, Mandzukic, Dybala, Bonucci, Chiellini will get ample rest and will be in top shape at the business end of the season. Despite Ronaldo grabbing the headlines, it was a complete performance from Juventus. They dominated Atletico in every area from the beginning until the end of the match. If Juventus show the same hunger and desire as they did last night then, they are more than capable of stopping any team in Europe. Their first leg defeat was merely an off day but their 3-0 win as a statement of intent. 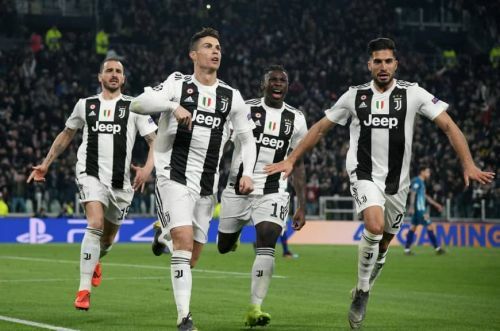 Their experienced defence, when combined with Ronaldo's brilliance and a dynamic midfield (in the form of Matuidi, Pjanic and Emre Can, ) makes them a worthy favourite of the Champions League. For Juventus, its a matter of only five games. They must work hard to turn their ambition into reality.